Clarence Drive is one of the most stunning coastal drives in the world. It’s every bit as exciting as Chapman’s Peak, without the cost of the toll. 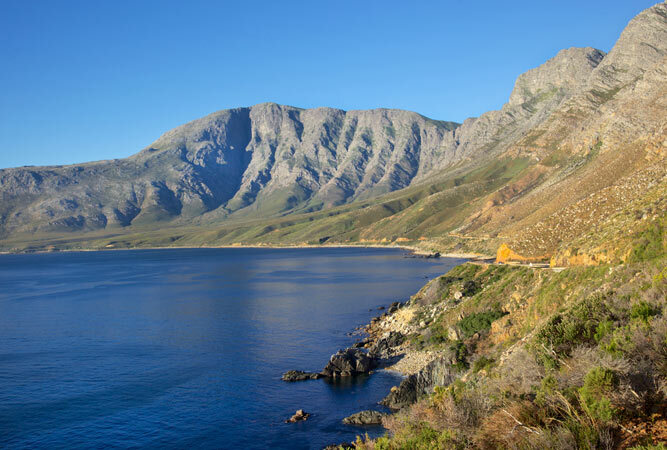 Forming part of Route 44 Clarence Drive hugs an incredibly scenic portion of the coast just south east of Cape Town, connecting the seaside towns of Rooi Els and Betty’s Bay – the Hottentot Hollands Mountains on one side, the ocean on the other. 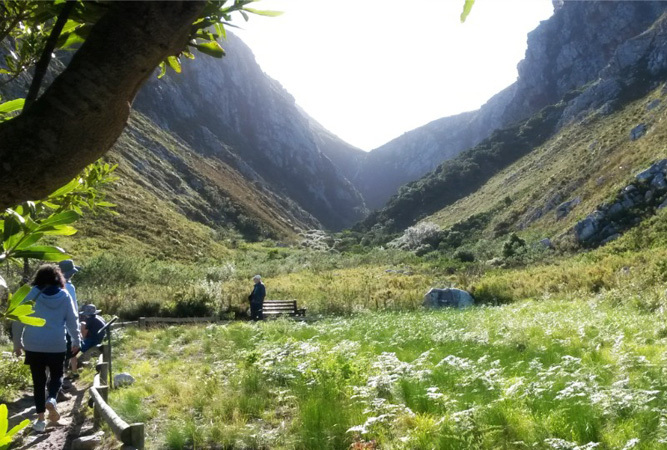 The road is in excellent condition, named after Jack Clarence, one of three men to buy the land in the area, subsequently selling it for holiday homes to create the villages of Rooi Els, Pringle Bay and Betty’s Bay. The other two men were Harold Porter and Arthur Youldon (Betty’s Bay was named after Youldon’s daughter, Betty). It’s a good thing that anything over 60 kilometres an hour feels a little giddy, as you’re going to want to drive Clarence Drive as slowly as you can (rather go during the week, if you can, when weekend bumper-crowders aren’t on the road). Officially Clarence Drive begins only at Rooi Els, but Route 44 starts at Gordon’s Bay and, for interest’s sake, we’ve rated the highlights of the whole route, from Gordon’s Bay to Betty’s Bay, after which it merges with Route 43. It’s easy to drive straight past Spark’s Bay. But the City of Cape Town keep this little day camp, complete with picnic tables and toilets, in good nick (even the loos were reasonably clean, but take your own bog roll). 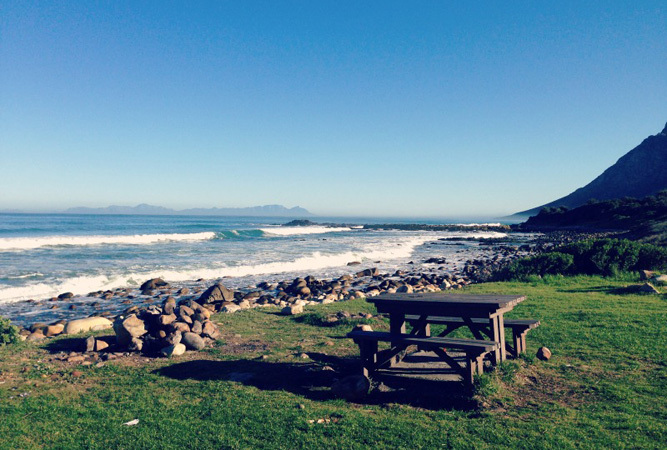 Spark’s Bay lies further up the coast from Dappat Se Gat and the Kogel Bay camping area. It’s a beautiful space for a picnic, or fishing on the edge of the ocean, the mountain looming above you. We could easily have set up our picnic chairs for a sit-in. The views from here of the single spur of mountain that spreads over at least ten miles all the way to Hangklip (Hanging Rock) is nothing short of spectacular. Our tip: Go a little further, beyond the loos into the next bay, and you’ll find a sandy beach and a tidal pool. 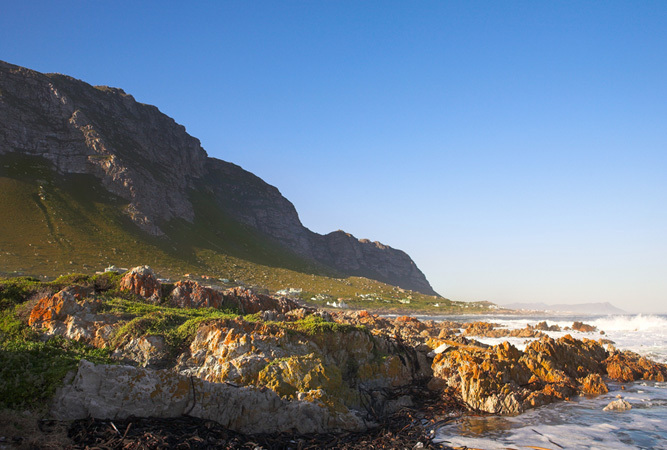 Rooi Els is the very first seaside village you come to after leaving Gordon’s Bay. It’s also the smallest of the towns along Clarence Drive, and one of the prettiest. You’ll pass over the Rooi Els River bridge in a wide sweep and head up the hill towards the exit off Clarence Drive, but not before spotting, out of the corner of your eye, the landmark ‘Beach House’ – a huge steel framed box with a hull shaped roof that sits right on the far edge of the bay. Our tip: Coral Gardens, an inshore rocky reef, is popular amongst divers; Rooi-Els Cave, which you can explore was where Stone Age relics were discovered; no street lights, only a few tarred roads and an untamed beach. 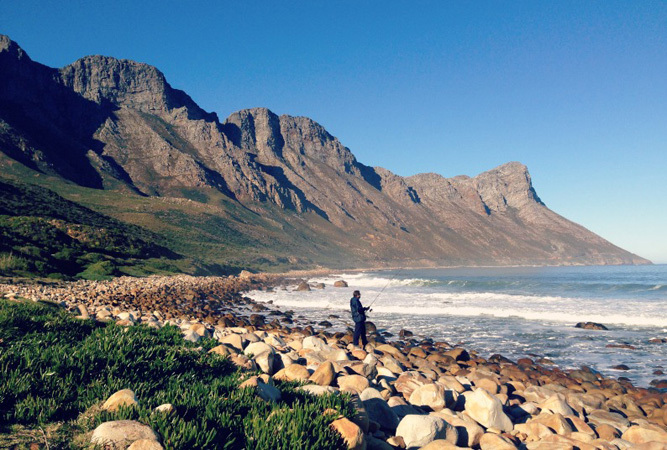 Pringle Bay was originally the name given to the land between Rooi Els and Pringle Bay in the late 1700s, when plans were afoot to turn the area into a port to ship produce across False Bay to the naval base at Simon’s Town. Thankfully this didn’t happen, and the quaint little village on the mouth of the Buffels River was left to while away time at a different pace from Cape Town. A group of artists, retirees and restaurant owners live here permanently, either as close to the sea as possible, or up the mountainside for the views. Our tip: The little hub in the centre of town is worth a detour off Route 44 for its coffee shops, gift stores, deli and restaurants. 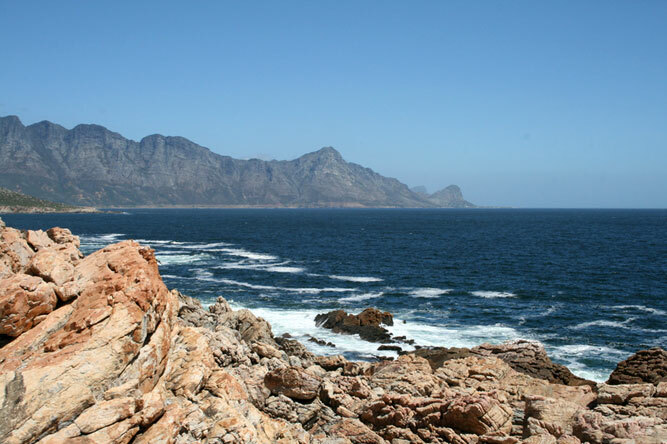 Pringle Bay’s beach is particularly impressive, and hike to Hangklip Lighthouse from the Maasbaai slipway is a must. 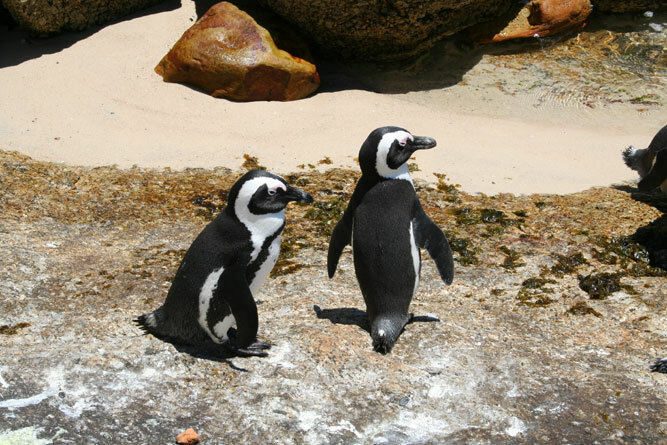 One of only two land-based penguin colonies in South Africa, Stony Point is home to the Jackass or African penguin. The abandoned whaling station, Stony Point, lies on the western edge of Betty’s Bay. Our tip: a cheaper and less crowded alternative to Boulders Beach. A popular weekend getaway venue, just about everyone in Cape Town either owns a beach pad here, or knows someone who does. The beaches and sand dunes are incredible and town, although now a little bigger than some would like (and said to be the ‘longest’ seaside village in the country – 13 km along the coastline), most residents adhere to the conservation rules leaving their homes enclosed by fynbos rather than walls, roads remain untarred and there is no sign of street lights. Our tip: The Palmiet River Trail, GaBoli Chocolate for sheer decadence, or John the Potter. A more demure version of Kirstenbosch, Harold Porter is no less beautiful for the views that extend down the slopes of the garden and beyond to the sea. There are several trails here, including the easy, but beautiful, Leopard’s Kloof Trail. Our tip: look out for the carpenter bee pole at the corner of the entrance building. The heart of Kleinmond is its Harbour Road. 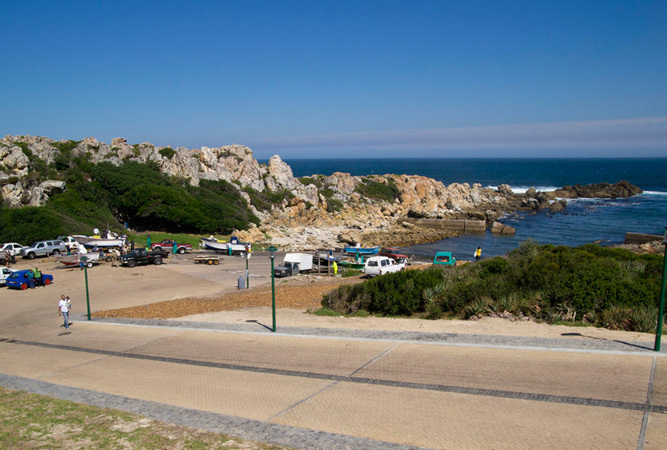 A short road, it veers off right relatively soon after entering Kleinmond to culminate in a waterfront lifestyle venture. Give the R44 Main Road, with its cumbersome Spar and over-abundance of dentists, a skip. Our tip: wild horses have free run of the Botriver lagoon marshes between Kleinmond and the Arabella Western Cape Hotel & Spa. 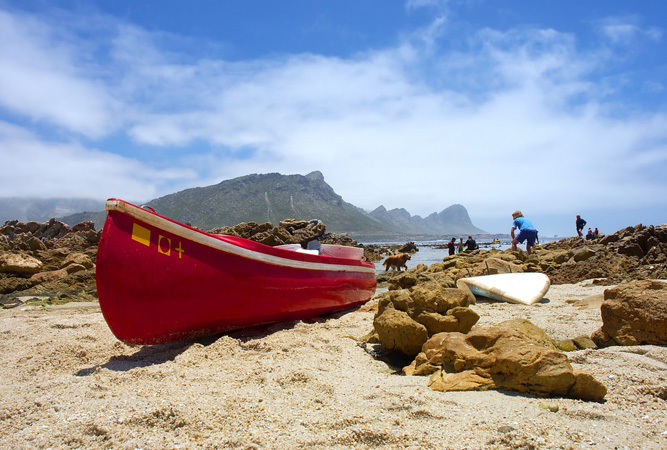 You can row from Kleinmond’s beach up the lagoon and river. 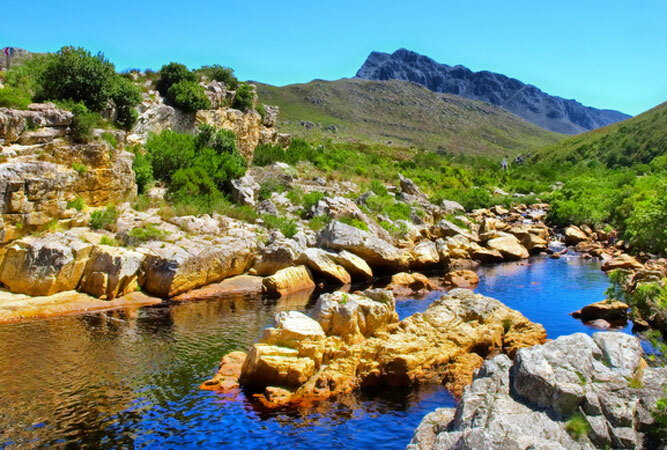 The whole coastline of Route 44 falls within the Kogelberg Biosphere Reserve. It protects a portion of the Cape Floral Kingdom that is particularly species-dense with a floral diversity per unit area far greater than anywhere else in the world. Within it lies the Kogelberg Nature Reserve, 18 000 hectares of wilderness, particularly beautiful for having been isolated for so long. Don’t let the address fool you, the reserve’s entrance is nowhere near Franschhoek, but is closer to Kleinmond. Our tip: hikes in the reserve are inspirational.